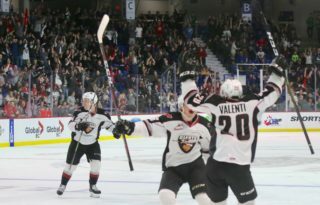 Tonight in Kent, WA the Vancouver Giants can punch their ticket to Round 2 of the WHL playoffs with one more victory. Last night in front of an excellent LEC crowd the Vancouver Giants beat the Seattle Thunderbirds 3-2 to take a 3-2 series lead. With the score tied 2-2 early in the third, Dallas Hines notched his second game-winning goal of the series and in the process has put the Thunderbirds on the brink of elimination. Game 6 goes tonight from the ShoWare Center at 6:05 PM. The Thunderbirds leading scorer from the regular season has now scored in three consecutive games. Last night Wedman notched his third goal of the series at 14:14 of the first period on a power play, and is tied for the team lead in playoff scoring with six points. Additionally, Wedman has eight penalty minutes and is a +2 in the series. 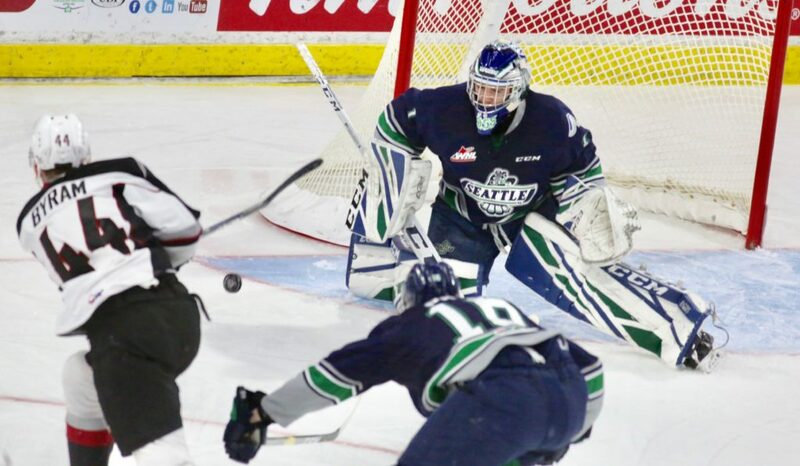 Despite the loss, Game 5 might have been Roddy Ross’ best game of the series up to this point for the Seattle Thunderbirds. Last Ross faced 33 shots from the Giants and ended up with 30 saves, 15 of which came in the second period. Ross made a handful of ‘five-alarm’ saves for Seattle to keep them either close or tied. For the series he’s 2-3 with a 3.85 goals-against-average and an .893 save percentage. The Seattle Thunderbirds have scored two power play goals apiece in each of the past three games of the series. Andrej Kukuca has a goal and three assists over the past two games. Noah Philp has goals in each of his past two games. Jarret Tyszka has notched four assists over the past three games. 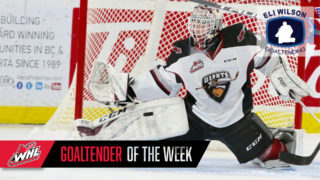 1999-born defenceman Dylan Plouffe has had himself a wonderful series to this point for the Vancouver Giants. 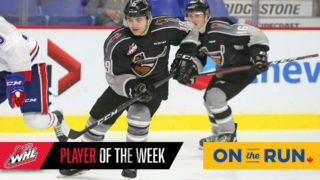 A veteran of 244 career regular season games, Plouffe has led the charge for the Giants offensively from the back-end with four goals and three assists for seven points, which ties him for the team and league lead in playoff scoring. Plouffe had a goal and an assist last night and has now scored in each of the past two games. 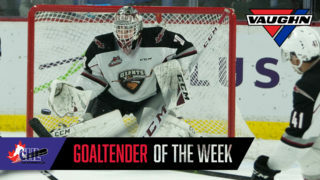 Despite suiting up in 248 career WHL regular season games, Dallas Hines had never played in the WHL playoffs until 2019. It’s been well worth the wait for the Marwayne, AB native who so far in the series has scored twice while adding an assist. Both of Hines’ goals this series have been game-winners. He scored early in the third period last night to move the Giants ahead 3-2 in the game, and subsequently 3-2 in the series. Owen Hardy posted two assists and a +2 rating in Game 5. The Giants power play has scored at least once in four of the five games so far in the series. The only game they went without a power play goal was Game 4. Including the regular season the Giants are 3-1 at the ShoWare Center this season. Their 4-2 victory on November 21st was played in front of 6001 fans. Bowen Byram leads all Giants with 25 shots on goal through five games of the series.